When I was young, whenever we were supposed to learn something totally and completely, backwards and forwards, inside and out, my teachers would say we'd have to learn it "by heart". An interesting way of thinking, don't you think? Why not learn it by mind? by head? or by brain? I mean that's where the thought processes are, right? But "by heart" meant more than just learning it like a robot...it meant embracing it, learning it with every beat of your heart, and feeling it coursing through your veins. Okay, I'm being a little dramatic here. We don't ever think about it this way when we're little, but you get what I'm saying. In a nutshell, do your homework, really learn it, and be ready when you're asked a question about it. I remember learning many things "by heart": the Pledge of Allegiance, the Lord's Prayer in English, the Preamble of the Constitution, and later all the verses of Miss American Pie. Growing up, we always prayed as a family at mealtime, and mom would tuck us in at night and say our prayers with us, and those were always learned prayers as well, except for the add-ins of people we would pray for, but in general, we would recite the Lord's Prayer in Armenian and later on the 15th prayer of I Confess with Faith - Bahaban Amenaynee or O Christ, Guardian of all. As we grow up, we learn about prayer and talking to God not by heart, but FROM the heart. And this is how I spend my morning prayer time with God, in conversation. Mostly listening to myself and trying to hear Him or feel God's presence. And this morning, not having anything to write about today in mind, I asked for guidance on what I could share with you. And then I left for work. "All Provident Lord, place your holy fear as a guard before my eyes that I may not look lustfully; before my ears that they may not delight in hearing evil words; before my mouth that it may not speak falsehoods; before my HEART that it may not THINK evil; before my hands that they may not do injustice; before my feet that they may not walk in the paths of injustice, but so direct them that they may always be according to your commandments. Have mercy on all your creation and on me a great sinner." And so there it was...you get what you pray for. I asked for something to write about, and here it is. And it made perfect sense. To think with one's heart. Whether we act in joy or anger, the emotion comes from the heart. 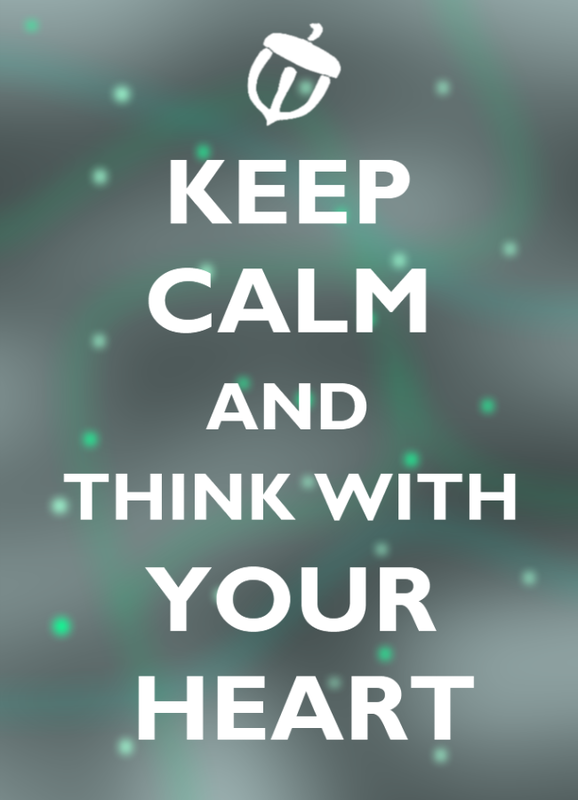 The brain controls the physical functions of our bodies, but it's the heart that controls our actions. Whether we choose to love or hate, fear or embrace, it's all tied in with the love we receive, the hurt we felt, the disappointment, the happiness, the joy and the sorrow...and it's the heart that controls all of that. For me, there is a place for both - by heart, and from the heart - prayer. The prayers that I have learned over the years are not a substitute for the conversations that I share with God in the early morning hours, throughout the day and late at night. They have been a companion to me in the worst of times, and also in the best of days. But they are a constant comfort, and they accompany the beat of my heart, and the rhythm of my footsteps as I walk everyday, by heart, with God.